Stella McCartney’s runway shows are always a treat for beauty minimalists like me. Season after season, her models make a singular statement with something like subtle blue mascara or a clean flick of liquid liner — which always looks fresh in a way that overly contoured complexions and four-color smoky eyes do not. Last night’s Pre-Fall 2015 presentation held in New York featured a beauty look that was as minimalist as it gets: perfect, glowing skin and nothing else. Because really, what more do you need? But that doesn’t mean models merely rolled out of bed and into their wardrobe of wildcat-printed dresses and cool-girl coats, enviable genetics aside. Nope, there was plenty of prep involved. 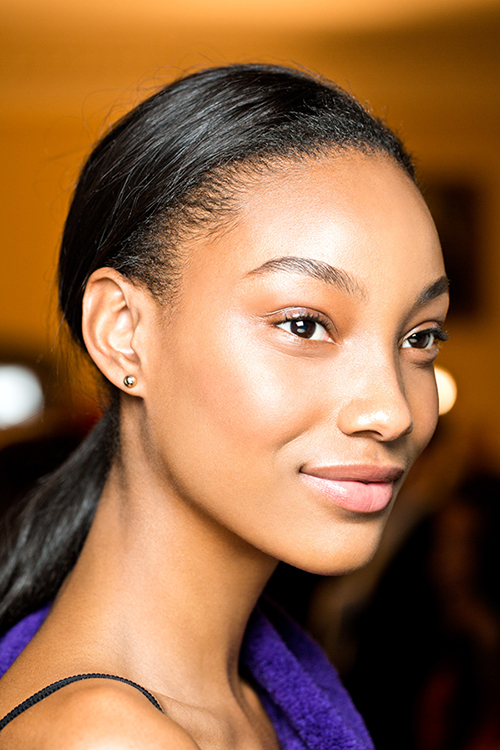 Stella’s girls got their just-had-a-facial glow by getting actual flash facials backstage, courtesy of Sunday Riley. 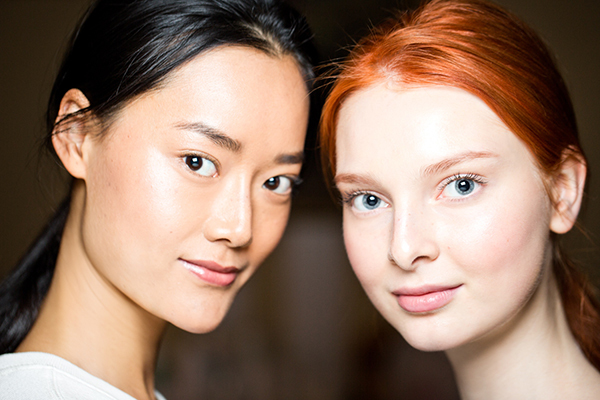 Here’s a breakdown of exactly how to recreate their radiant look, should you be in the market for a new skincare regimen — or just want to pare down your makeup routine in 2015. 1. Cleanse the skin with Ceramic Slip Cleanser (a gel-based, foaming clay cleanser for normal to combination skin rich in vitamin C and essential oils) or Charisma Crème Cleanser (a creamy, milk based cleanser for drier skin types that mildly exfoliates for fresh-faced vibrance). 2. Blend Ceramic Slip Cleanser with Good Genes Treatment to create a deep cleansing mask. The lactic acid in Good Genes and the rich French green clay in the cleanser exfoliate the skin for a brighter, more vibrant complexion. 3. 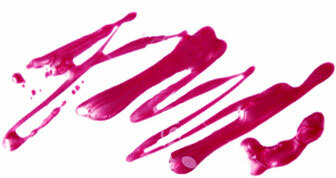 Dispense a pea-sized amount of Start Over Active Eye Cream onto fingers and gently apply to the undereye area. This lifting eye cream provides lightweight hydration while radically reducing puffiness and dark circles. Store in the fridge for a cooling sensation upon application. 4. Next, rub 1-2 drops of Artemis Hydroactive or Juno Cellular Face Oil into the palms of the hands and gently part onto the skin for instant radiance, without the typical “oiliness” associated with oils.